Okay, so yesterday, I was just thinking about my overall CrossFit goals, my progress all these years, and also my fluctuations. I’ve come to the conclusion that my main focus with CrossFit should be just to drop the fat and get back into healthy mode. Yes, I have made HUGE progress since getting back into the swing of things around the same time I started this blog. My breathing is definitely in a lot better condition than even before my trip to the Philippines. My running has improved. My lifts are BETTER than ever. And I managed to lean out a bit. Despite all those improvements and accomplishments, I know I need to drop the excess fat before I can really progress in bodyweight movements and metcons. And honestly…right now, I just want to look good in my clothes…naked too 😛 Not gonna lie. So that’s what I’ll strive for in the coming months. Sure, my performance and lifts will take a hit along the way, but that doesn’t mean I’ll abandon being around 170# forever. Once I get my weight down to around 150# or so in lean fashion and I feel like pushing things to the next level, then I’ll go for a clean bulk. That’ll help me get in better performance mode. For now, I just want to be healthy and slimmer. As I was thinking about all this stuff yesterday, I randomly thought of my fat kid days. Back then, I had NOOOO idea what was really considered “healthy” nutrition. All my pediatrician told me to do at the time was drink skim milk and eat less. 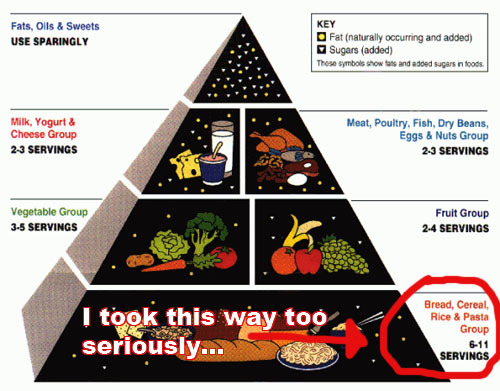 On top of that, I always thought the traditional food pyramid was THE way to go to live a healthy lifestyle. Of course, I thought this was a good reason to eat loads of grains…rice, bread, and pasta galore. 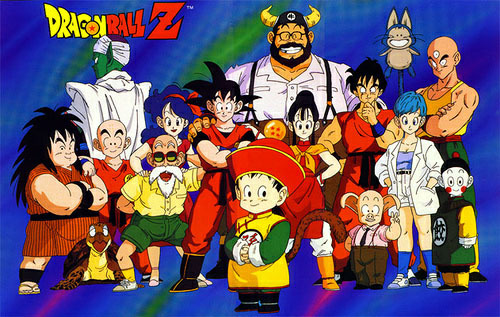 …I was watching the Japanese anime cartoon Dragonball Z. It was a longgggg marathon of 3 movies or something. Of course, as a fatass, I couldn’t go through those movies without munching on some food. Unfortunately, I couldn’t find any snacks at the time…so I had to be a bit “creative.” My poison of choice? 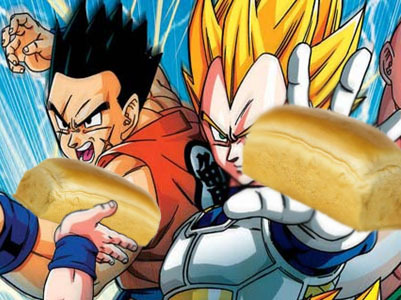 A motherfuckin LOAF of bread. Hell yeah! Whenever I see these, I get all PUMPED. You know that adrenaline rush you get during a WOD? That second wind? That final push through one more set of reps? Sadly, I was so pumped that I kept eating slice after slice of that loaf of bread. Before I knew it, I finished the whole thing. …I can only blame myself. It’s just funny what I thought was considered “healthy” at the time. I mean c’mon…if it were healthy, why wasn’t I seeing results? Oh right…my portions were ridiculous and I didn’t exercise. That should do it. Regardless, it’s fun looking back at this kind of stuff. Now that I have a clearer focus with CrossFit, I’m ready to attack it and succeed.